The Holloway area of London has been expertly handled by the Handy Squad since 2005. 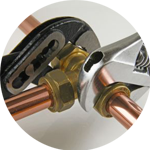 Our highly skilled team are guaranteed to provide a customer-centric and cost effective solution to any plumbing issues. 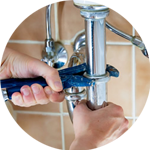 Your Plumber in Holloway will have an unrivalled level of knowledge and expertise, since they’ve handled a wide variety of both simple and arduous plumbing jobs, making them the best London Plumbing service around. 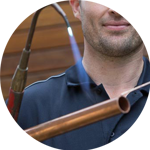 Your Plumber in Holloway will be able to assist with a wide selection of plumbing tasks. 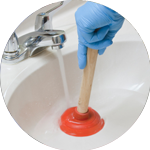 This includes assistance with unblocking sinks, plumbing installations and how to fit a waste disposal unit. Any white goods in London can also be taken care of as well as anything that relates to repairing taps. Holloway is an inner-city district which is located within the London Borough of Islington. The area is known for the Emirates Stadium, the home of Premier League side Arsenal. Here at the Handy Squad, we pride ourselves on delivering much more than just plumbing services in Holloway. Many buildings will require general DIY and maintenance, in which you will need to contact your local Handyman in Holloway. They will be able to help with things like bathroom tiling and flat pack assembly. We also have an Electrician in Holloway to assist with any electrical tasks. They will be able to complete jobs in both a safe and effective manner every single time. Their skillset includes: fault finding and repairs, bathroom lights and replacements.